This post has been updated on February 25th, 2018. 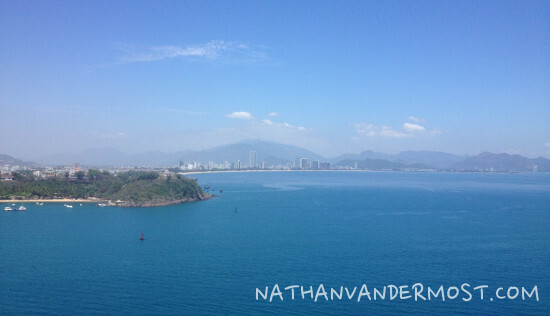 Before arriving to Nha Trang, I began researching things to do. Obviously I wanted to get some beach time in but I also wanted to know if there was any other major sites or places to visit. I read online about Vinpearl Land Nha Trang. 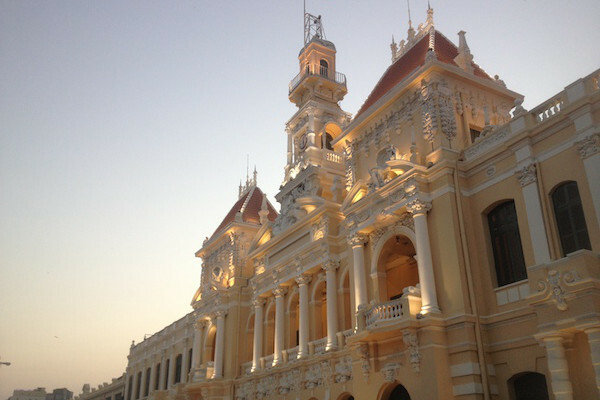 Basically, Vinpearl Land is a large company that operates several resorts and amusement parks all over Vietnam. One of their locations is on an island directly across Nha Trang on an island. I have not been to an amusement park for many years but it sounded like a fun way to spend the day. I put together this guide on Vinpeal Land Nha Trang to help others determine if it is a good choice. I hope you find it helpful! 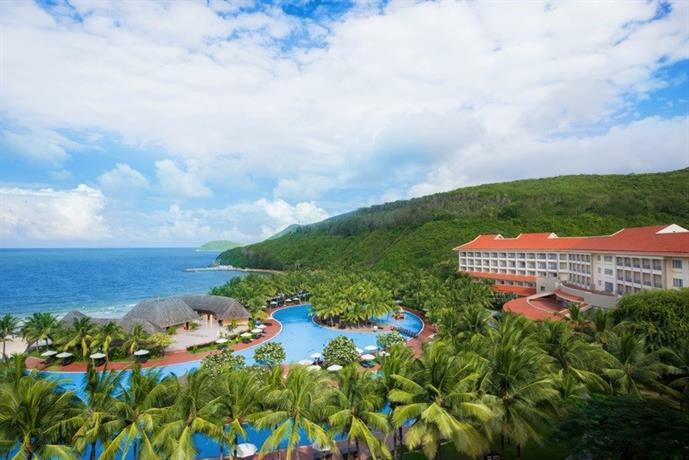 Where to stay in Nha Trang, Vietnam? There are many great places to stay in Nha Trang and it is really affordable as there are many new hotel developments. Because there are so many hotels and relatively low demand, depending on the time of the year, you can get a great deal on a hotel room. 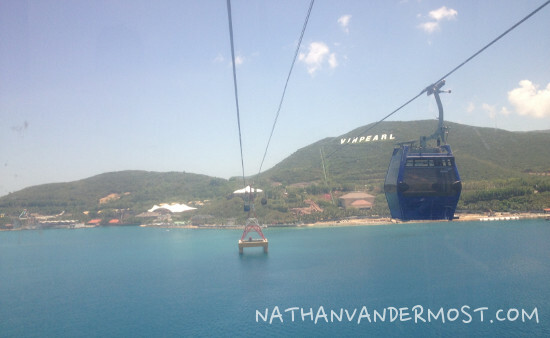 Regardless of where you stay in Nha Trang, it will be a relatively short distance to get to Vinpearl amusement park. You will easily be able to arrange transportation with your hotel, with a taxi, or other transportation service. If you are currently looking for a place, I have found the Hotels Combined website to be really helpful for comparing hotel costs. 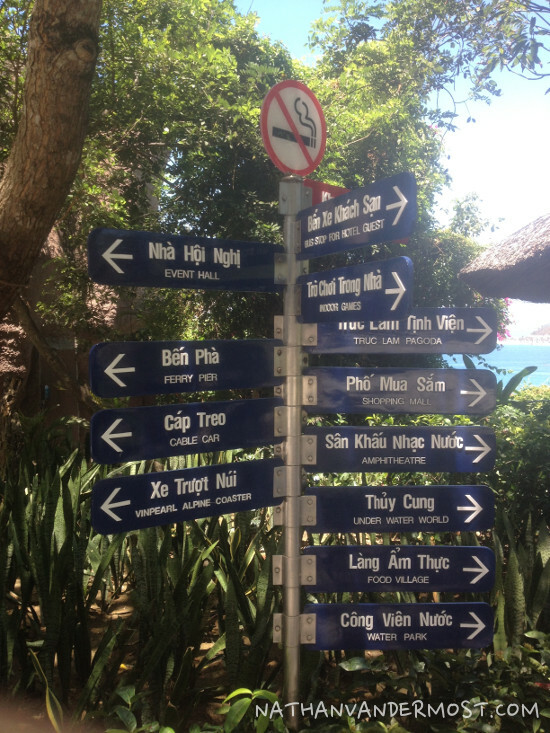 Where To Stay At Vinpearl Nha Trang? Another option is to stay at a resort, next to the amusement park which is owned and operated by the park. The name of the resort is called, Vinpearl Resort Nha Trang. This is a great option as the resort is on the island and has easy access to the amusement park and all of its amenities. Since the amusement park is separate from the resort, you would still need to purchase a day pass to access all of the park’s offerings. It may be a great option to stay for several days and enjoy the seclusion of the island and everything that it has to offer. 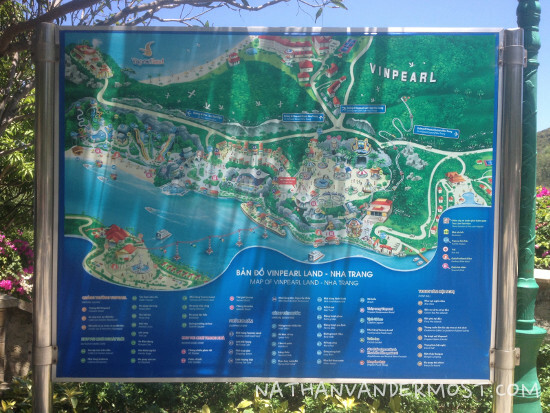 How To Get To Vinpearl Land, Nha Trang? 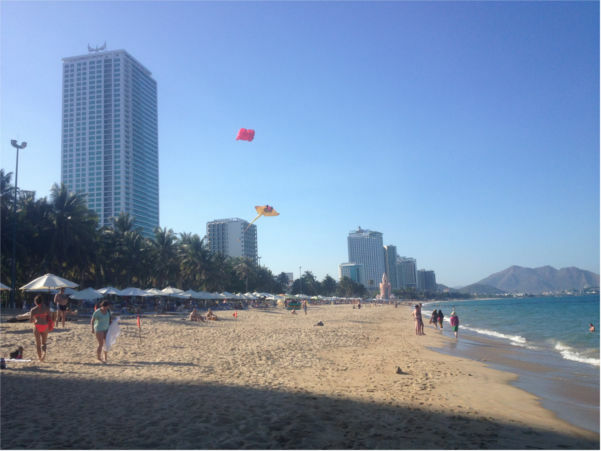 When I visited Nha Trang, I stayed at a hotel, a few blocks from the ocean. After talking to the front desk of the hotel about the best way to get to the resort, they suggested that we take a local bus, #4 which ends at the entrance of Vinpearl. We were able to find the bus stop which was several blocks from our hotel and waited roughly 15 minutes for a bus to arrive. As we waited, we got asked by local taxi drivers if we wanted to ride in their taxi as it would be a faster mode of transportation. 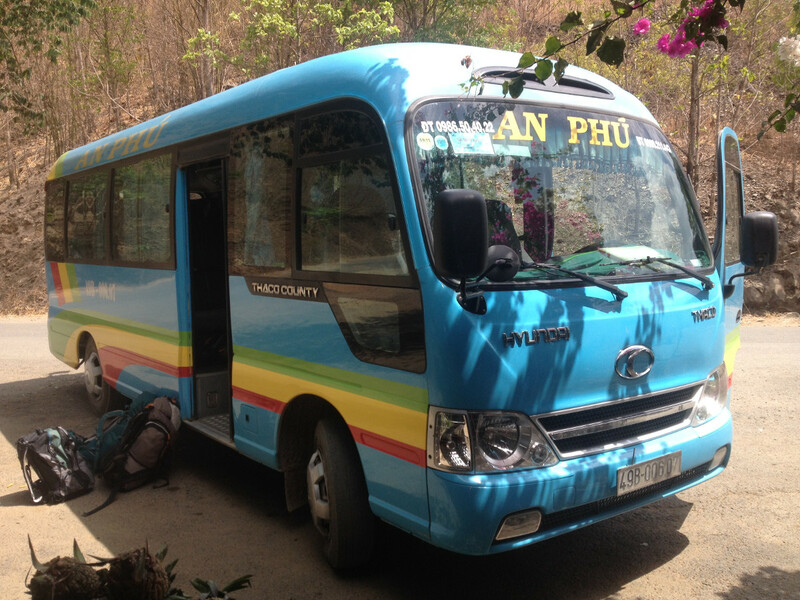 Along with being a faster mode of transportation, it would also cost 60,000 VND compared to the bus which cost 7,000 VND. Eventually, the bus arrived and it was a short ride to the entrance of Vinpearl Land. Before getting to the end of the route, the bus stops so that all the passengers can get an entrance ticket to Vinpearl Land. When we stopped, I was skeptical that it was a scam and opted to wait until we got the the real ticket counter. It ended up being legitimate and is the same price as the tickets being sold at the entrance ticket counter. 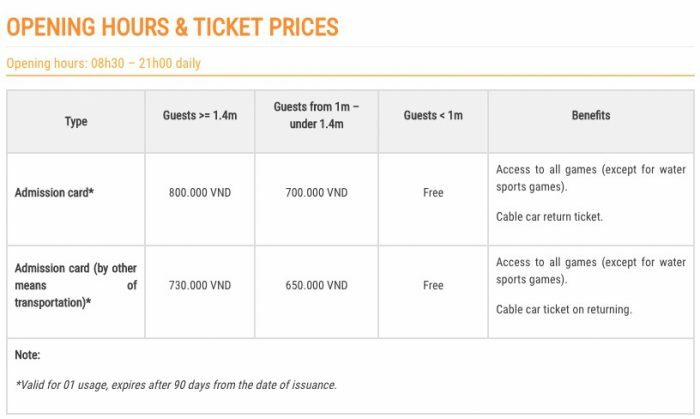 What Is The Cost Of Vinpearl Land? After buying your tickets to enter the park, you walk into a line to get onto the longest sea cable car in the world! It was definitely a highlight of the park and made for some spectacular views over the ocean. Each cable car can comfortable seat 4 people but I do not know what the maximum capacity of each cable car is. When you step onto the cable car, it is moving very slowly and then shortly thereafter, the doors close, and it beings to accelerate. You gain elevation very quickly and assuming it is a clear day, the views are spectacular. The cable car features some small windows to allow for ventilation and it is easy to see in all directions. The trip takes roughly 10 minutes and goes by very quickly so be sure to have your camera ready. After you arrive to the other side, you step out and enter the amusement park area. There are a variety of amusement park rides that are available at no extra cost. I rode on a few rides and the most extreme ride for me was called the, “extreme carousel.” After getting seated, you are strapped in. The ride starts to spin and then eventually goes upside-down while spinning. I would not recommend eating any food prior to going on this ride. Some of the other rides that the park features include a, swing carousel, merry-go-round, pirate ship, small roller coaster, and bumper cars. 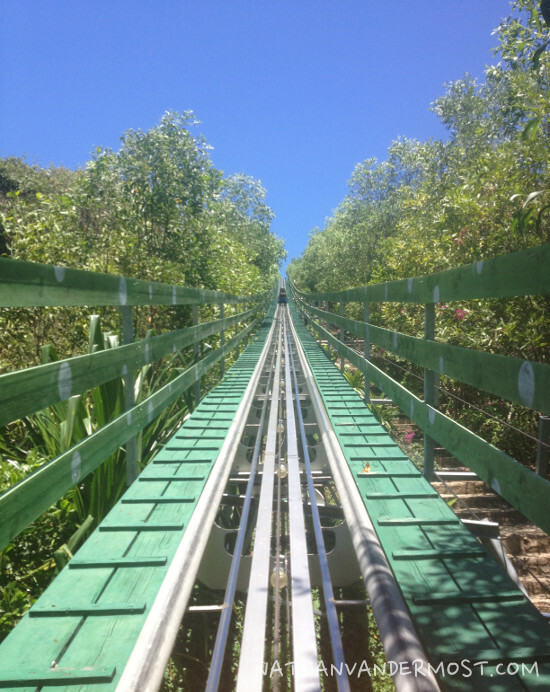 The ride that I enjoyed the most was a small cart that rode downhill on a track but you have control of the brakes! You have to keep a minimum distance of at least 25m from the cart in front of you but it is really fun as you can go very fast. It is disappointing though if the person in front of you does not like high speeds and therefore goes slow. Then, in order to maintain the 25m space limit, you have to go slow as well. Most of the other rides are more mellow, and kid friendly. We saved the water park for the later half of the day and had a blast. If I was to go again, I would go to the water park first as it closes at 5:45pm and the amusement park stays open into the evening. The water park area is a 10-15 min walk from the amusement park area. Once you reach it, there is a locker area that you can put personal possessions away for 10,000 Dong or $0.46USD. They also have towels for rent or purchase. The bathrooms are very large and there are many changing rooms and showers. Travel Tip: The steps to the water slides hurt your feet so you should bring water shoes, if you have any. I would advise leaving everything in your locker except for what you will be riding down the slides with. The only exception to this suggestion, is if you have someone that can watch over your belongings while you are riding the water park slides. The water slides operate on a specific time-schedule so not all of the slides are open at once. This allows you to try different water slides during specific time durations, then as the time goes by, you can try other water slides. The water park is really fun but I would use caution as some of the slides have a short drop and I tweaked my neck while riding them. Ouch! The water park also features a wave pool that I missed out on because I got there too late. I would look at the time schedules to ensure that you do not miss it, as it looked really fun! If you enjoy looking at sea-creatures and other animals there is an interesting aquarium at Vinpearl Land that is worth a visit. The aquarium features a conveyor belt that moves under a body of water that has a variety of aquatic specimens. In addition, there are other insects and small animals that are available for you viewing pleasure before entering the aquarium conveyor belt. I would save the aquarium for the end of the day since the water park will be closed. The aquarium is located between the amusement park and water park. It will be easily identifiable on any Vinpearl Land map. You can easily spend 30 minutes to an hour at the aquarium area and it is a good way to end the day. The park features a variety of food, but be prepared to pay a premium. For lunch, I ate a bowl of Pho, a traditional noodle soup dish with chicken for 60,000 Dong. The food was ok but it was expensive compared to what I would normally pay for the same thing at another restaurant on the main land. Since you end up spending a majority of your day at the park, it is inevitable that you will get hungry and thirsty. If you do not plan ahead and bring snacks or food into the park, your only option would be to eat there. The main food court areas are between the amusement and water park. 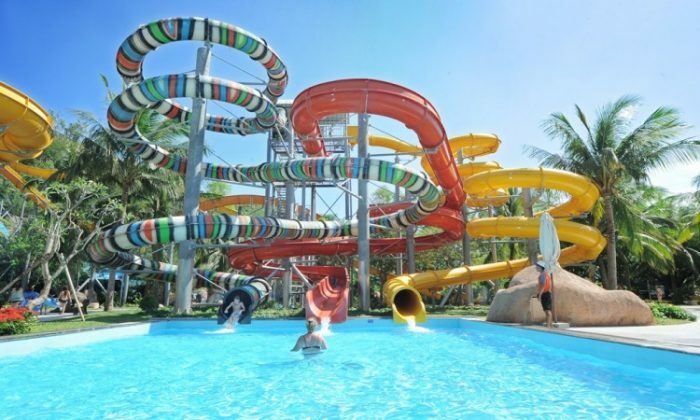 Overall, Vinpearl Land Nha Trang is a great way to spend the day for families and adults alike. The price is very reasonable compared to the services and activities that are included. 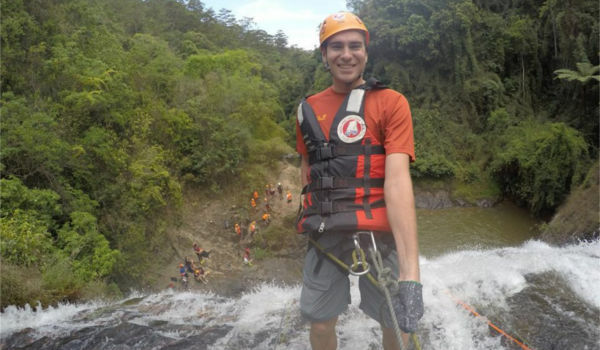 Even as an, “adult” I had a really fun time and I would recommend it to fellow travelers. Your experience will be enhanced by arriving early so that you can take advantage of a full-day. Additionally, be sure to bring a swim suit and towel if you intend on going to the water park. 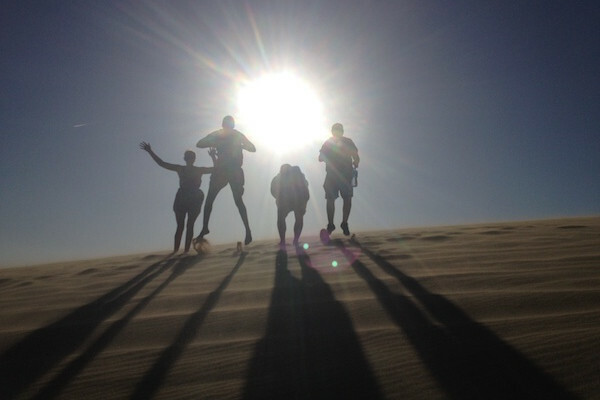 I would also advise bringing sunscreen as it can get very hot and sunny during the day. If there is anything that can ruin a fun day, it is getting sun burned. Have fun! Hey, may i know is it your hotel at nha trang beach? 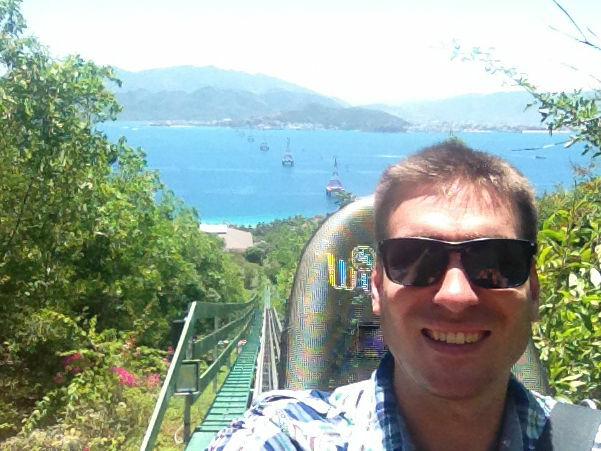 how far from nha trang beach to vinpearl amusement park? because when I try to google, it shows vinpearl amusement park is quite far from nha trang beach. Yes, I stayed at a hotel that is near the beach and I took a local bus to the entrance of Vinpearl. Alternatively, you can take a taxi which is a bit more expensive but faster. The reason that it may look far from the beach is because the actual resort is on an island but you need to take a cable car from the main land to the resort. I hope that helps. Hi, Very nice informative post. Thanks for that. I am visiting Vinpearl land next week and will be staying in their resort. 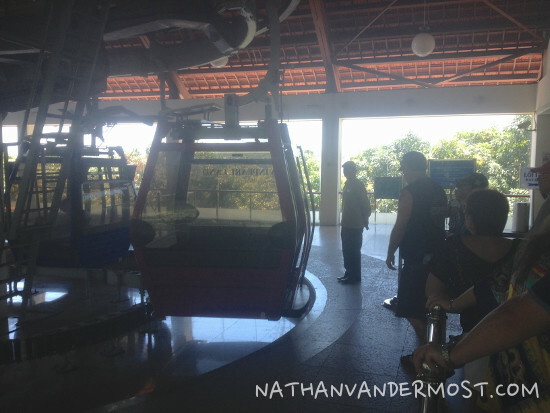 – Since we stay there how can we enjoy cable car ride, does it has a separate ride ticket? – Any shopping places near Vinpearl land? Thanks for your questions. I believe that you will have to buy 2 separate tickets for each day. The cable car is included in the day price. It cannot be bought separately. The attractions include, cable car, water park, food, amusement park, 4D theater, aquarium and shopping street. I would suggest shopping in Nha Trang, as there will be better options and cheaper prices. I hope that helps. Do you think is preferable to buy the tickets online? I think that I would personally but it in person but if you want to buy online, you can use this link: http://nhatrang.vinpearlland.com/en/. I hope that helps.